Apple has seeded a new iOS 8.4 beta to registered developers. This is first beta for iOS 8.4 and comes five days after the release of iOS 8.3 to the public. The iOS 8.4 beta has a build number 12H4074d and is currently available for download via iOS developer center. Apple has updated and redesigned the Music app in this beta. The revamped Music app includes features such as a new MiniPlayer, global search, streamlined iTunes Radio and more. You can now view upcoming songs and also re-order, add or skip music. The most recently added music and playlists are shown on top of the Library, pictures of artists are shown in Artists view, Now Playing screen has a new design and more. As this is a beta release, you will find bugs and force closes. 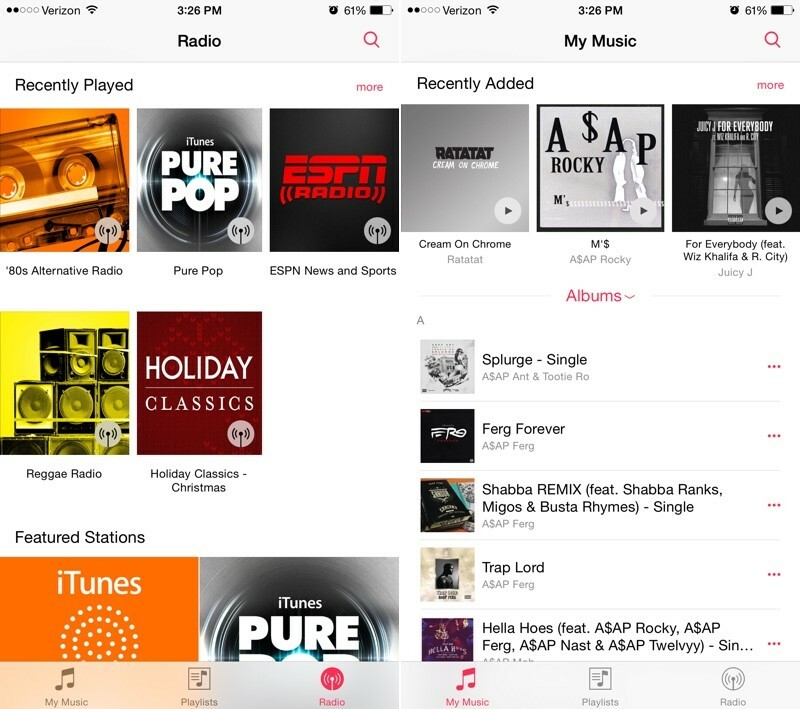 Apple has been rumored to introduce a new Music streaming service in iOS 8.4. Could this be the start to the new updates?